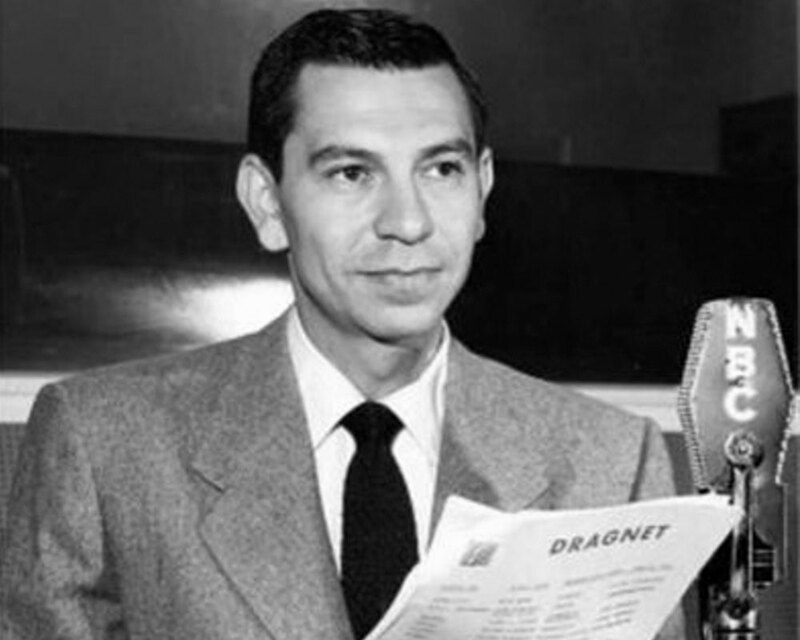 “Dragnet,” “the story of your police force in action.” was created and produced by Jack Webb. A statue of baby Jesus taken from a church Nativity scene moves Detective Sgt. 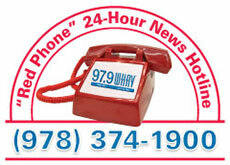 Joe Friday and partner Frank Smith to action on Christmas Eve when 97.9 WHAV FM presents “Dragnet,” Saturday, Dec. 22. Friday, played by Jack Webb, and Smith, played by Ben Alexander, are working in the Burglary Division of the Los Angeles when they receive the call the 31-year-old statue was taken from the unlocked church. “You leave it wide open so any thief can walk in?” Friday asks Father Xavier Rojas. “Particularly thieves, sergeant,” Rojas responds. From 1954, “Big Little Jesus” had become the radio series’ annual Christmas show the year before. 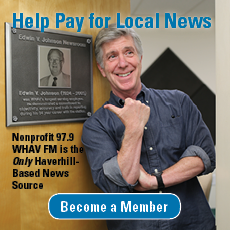 “Dragnet” airs Saturday, Dec. 22, at 10 p.m., with an encore performance at 1 a.m., over WHAV. Yours Truly Johnny Dollar: “Silver Queen Matter. ;” Box 13: “Double Right Cross,” Sunday, 10 p.m. and 1 a.m. Suspense (modern): “Man of Tomorrow;” Suspense (classic): “A Good Neighbor,” 10 p.m. and 1 a.m.
Dimension X: “The Parade;” Suspense (classic): “Vanishing Lady,” 10 p.m. and 1 a.m.
Great Gildersleeve: Gildy and Leroy are alone on Christmas; Suspense (classic): “Chicken Feed,” 10 p.m. and 1 a.m.
Our Miss Brooks: Magic Christmas Tree; Suspense (classic): “Escape to Death,” 10 p.m. and 1 a.m. Couple Next Door: Entering Contest; Suspense (classic): “Celebration,” 10 p.m. and 1 a.m.
Gunsmoke: Bum’s Rush; Dragnet: “Big Little Jesus,” Saturday, 10 p.m. and 1 a.m.
Yours Truly Johnny Dollar: “Missing Mouse Matter;” Box 13: “Look Pleasant Please,” Sunday, 10 p.m. and 1 a.m.